Reader-friendly typography that adapts well to mobile devices. 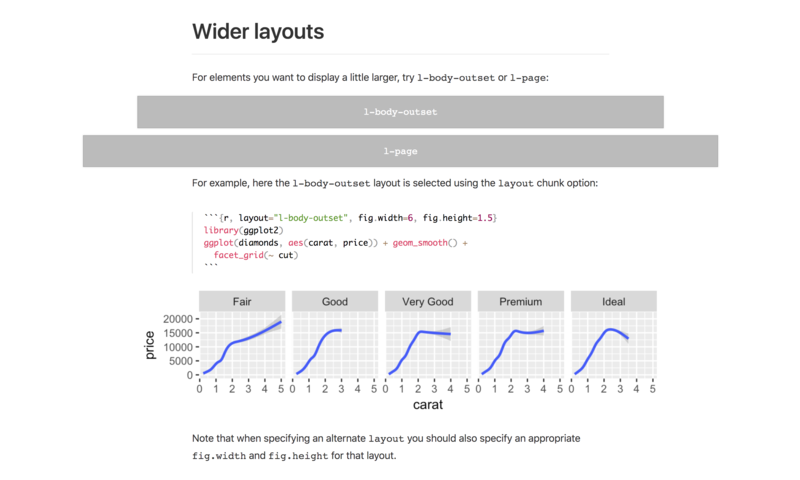 Flexible figure layout options (e.g. displaying figures at a larger width than the article text). Tools for making articles easily citeable, as well as for generating Google Scholar compatible citation metadata. A variety of ways to publish articles, including support for publishing sets of articles as a Radix website. 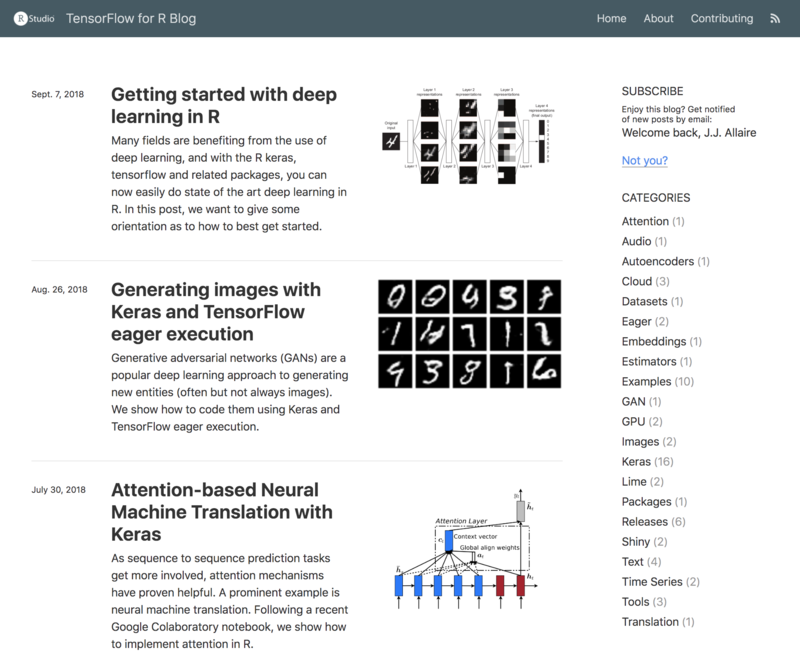 Radix is based on the Distill web framework, which was originally created for use in the Distill Machine Learning Journal. 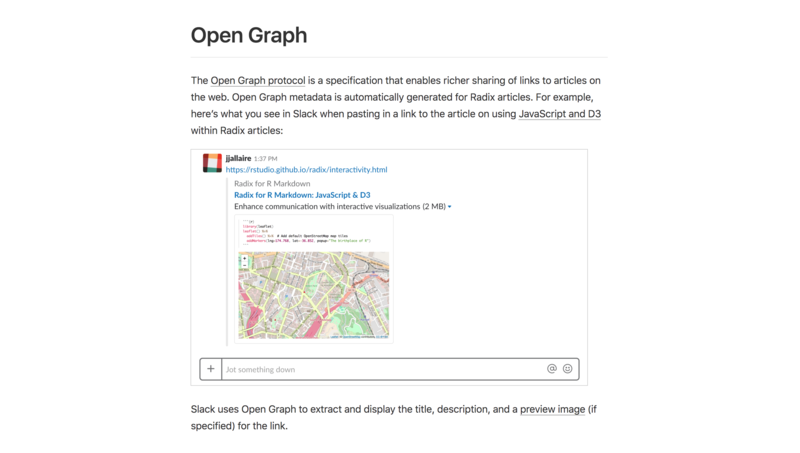 Radix combines the technical authoring features of Distill with R Markdown. Below we’ll demonstrate some of the key features of Radix. To learn more about installing and using Radix, check out the Radix for R Markdown website. Radix articles support including citations and a corresponding bibliography using standard R Markdown citation syntax. To learn more, see the article on creating a blog with Radix. Using Radix requires Pandoc v2.0 or higher. If you are using RStudio then you should use RStudio v1.2.718 or higher (which comes bundled with Pandoc v2.0). You can download the preview release of RStudio v1.2 at https://www.rstudio.com/products/rstudio/download/preview/. This will give you a minimal new Radix document. 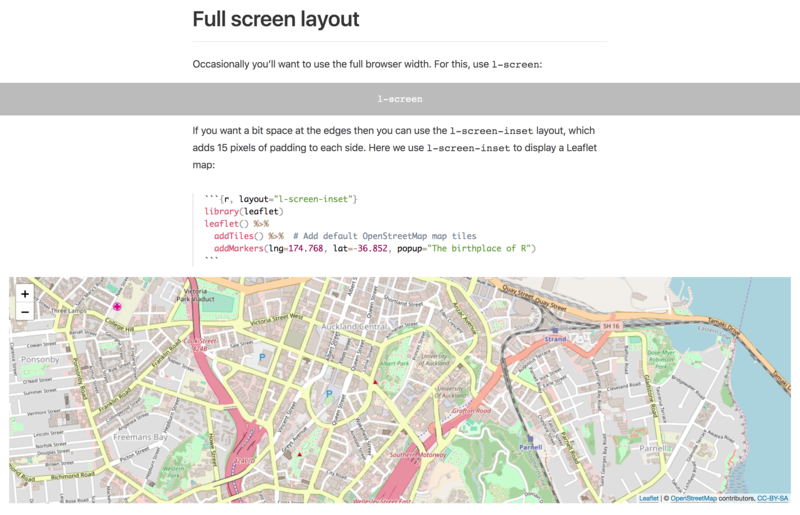 Then, check out the Radix for R Markdown website to learn more about what’s possible. Happy authoring!